Evelina Children's Hospital, inside St Thomas Hospital. Accept GP and local consultant referrals. Similar service to Charles Dent London service. Referrals : England (current info). Added to MEBO Map (see sidebar). 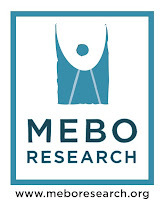 Mebo has become aware that another ADULT METABOLISM UNIT in LONDON has said it accepts ADULT referrals for TMAU. This would be similar to the Charles Dent Unit run by Dr Lachmann in North London. You would need a GP or Local Consultant referral. There is a chance it may be for South London only (to be confirmed). Full details can be seen on their website. The current email on their website does not work (Feb 2017). Why go to an Adult Metabolism Unit ? They have likely heard of TMAU and know the basics of TMAU. Will likely order urine test easily. Then DNA test if positive for urine test. They may have TMAU group sessions (a new trend). Diet advice from the Diet Team. These seem to be a new trend in the UK, perhaps due to the single structure of the UK Health Service (NHS, top-down orders). At the moment it is likely the TMAU person will know everything told already, but the service for TMAU is in it's early years. In other countries, perhaps you can look around to see if there are Adult Metabolism Units in your region. Perhaps this NHS contract/law paper from circa 2013 has helped with the new clarity of Adult Inherited Disorder units purpose in the UK. Trimethylaminuria is included in the list. The MEBO Map (in the sidebar) is intended as a map of TMAU 'places', mainly places of help. Most of the locations are UK. The Heidelberg TMAU test is thought to be quite accurate. Also Denver TMAU test. Better/new information for the map is always welcome. Correction to this post are welcome. If anyone has been to Evelina for TMAU, you can comment about it if you want.